There is no place quite like the coast of Maine. Its wild beauty and distinct tranquility make it the ideal camping destination, but summertime seems to get all the attention. After Labor Day, though, the crowds thin and pesky bugs disappear, and the trees lining coastal Route 1 turn vibrant shades of burnt orange and gold that never fail to inspire. This is a side of Maine that you don’t want to miss. Camping allows you to take full advantage of the still-sunny days and crisp nights before winter sets in. 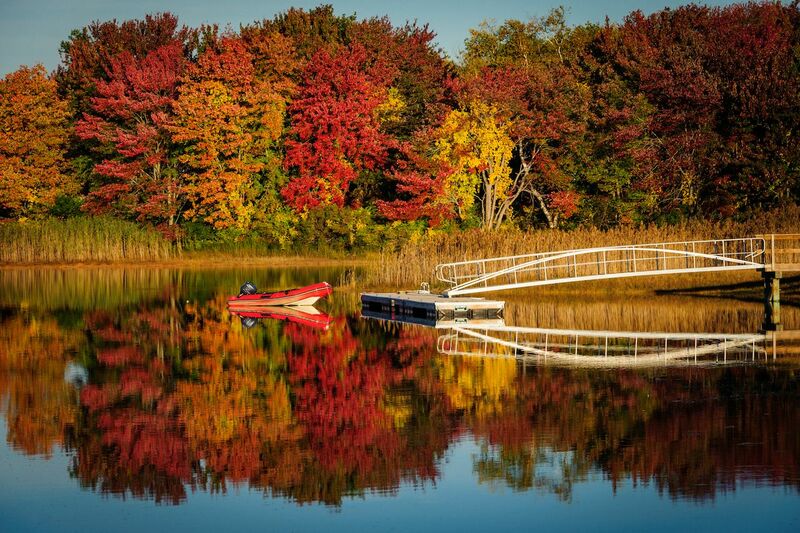 When planning your autumn camping getaway, this is why you should look no further than Maine’s shores. 1. The foliage will blow your mind. 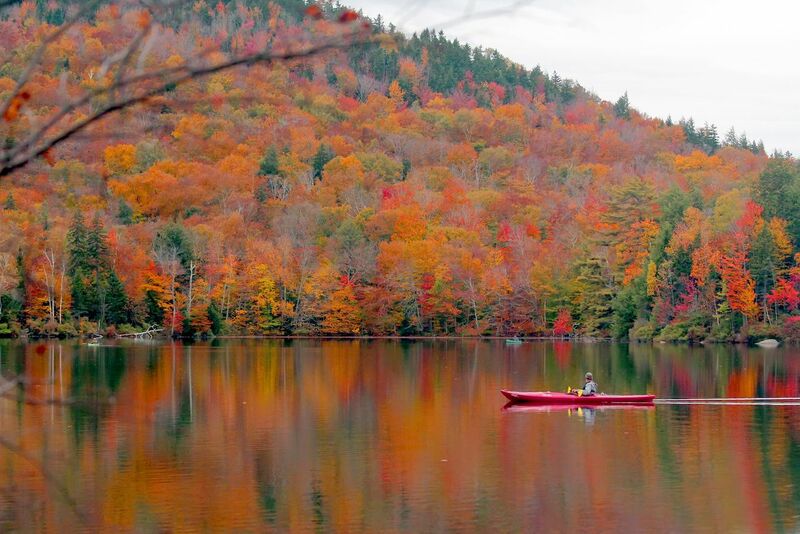 You don’t have to be a ‘leaf peeper’ to appreciate the dramatic transition from summer to fall that occurs throughout the state’s landscapes. Starting in late September and reaching full intensity by early to mid-October, the full spectrum of autumnal colors is visible in a brief but spectacular show of explosive seasonality. The natural phenomenon can be experienced from both land and sea along Maine’s rocky coast, and many campgrounds rent kayaks, canoes, and stand up paddle boards. One of those campgrounds, Old Quarry Campsites in Stonington, also has authentic boat tours, island lobster bakes, and even a lobster-to-tent delivery service. 2. 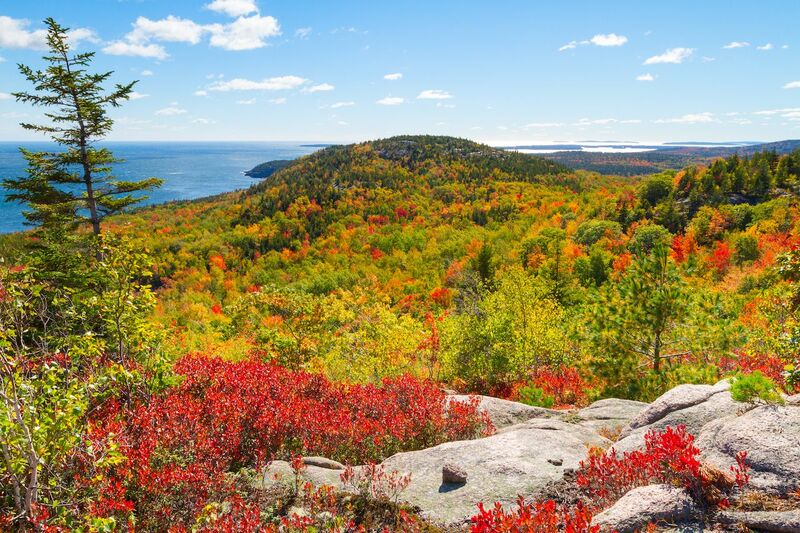 Acadia National Park has never looked better. 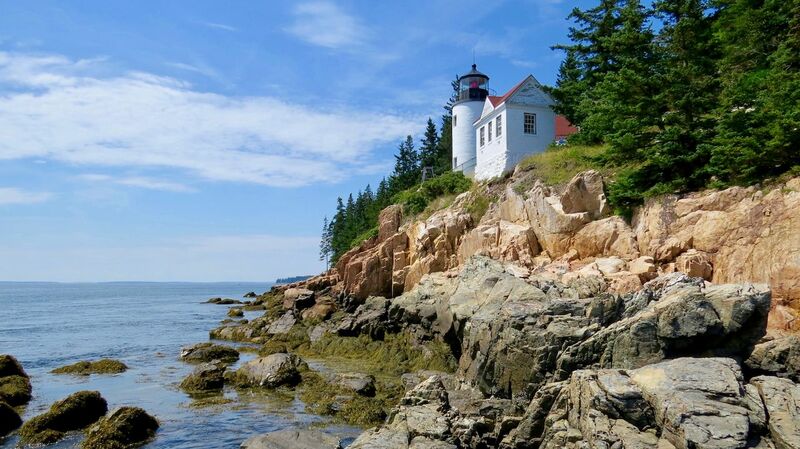 If choosing just one camping destination in Maine, you can’t do better than heading straight to Acadia National Park. The state’s only national park is also one of the most visited in the country, and for good reason. Covering nearly 50,000 acres, primarily on Mount Desert Island, the park has over 158 miles of scenic hiking trails and 45 miles of car-free carriage roads that can be explored on foot, bike, and horse. The view from the top of Cadillac Mountain, sitting 1,500 feet above the Atlantic, alone is worth making the trip. But while the park is a prime example of Maine’s rugged mystique, the most popular areas can feel congested in peak summer season. It’s worth waiting until the hoards subside to pitch your tent in the diverse array of sites in and around the park. The rustic Duck Harbor Campground on the rural island of Isle au Haut, accessible to the mainland by mail boat ferry, is ideal for campers looking to truly get off the grid. Most of Acadia’s official campgrounds are closed by mid-October so advanced reservations are recommended. 3. Seafood is at its sweetest. It’s no secret that Maine is known for its world-class seafood — lobster, anyone? — and autumn is when the state’s underwater bounty reaches its peak deliciousness. 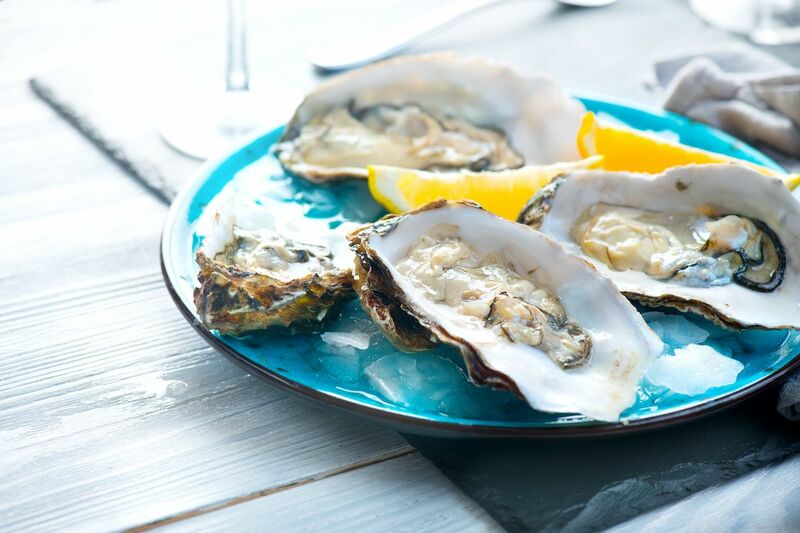 Everything from Maine’s waters tastes better in the fall — from mussels and clams to bluefin tuna to local oysters, which are plump from eating all summer and sweet from storing sugars in preparation for wintertime hibernation. Campers looking to sample briny bivalves hailing from a river known as ‘the Napa Valley of Oysters’ will enjoy the Pemaquid Oyster Festival, which takes place the last weekend of September in Damariscotta. 4. Apples are ripe for the picking. Forget the pumpkin spice lattes. 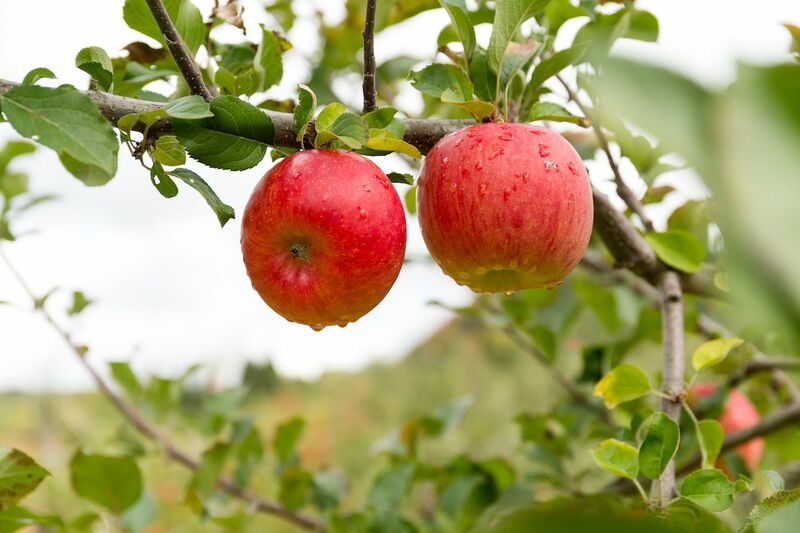 Picking apples in Maine’s sprawling orchards is what fall is all about. The state has a rich history linked with growing the fruit and many orchards are a quick drive from its coast. Visitors camping in the Camden Hills State Park, home to the Mount Battie Trail that leads to panoramic views of the picturesque harbor below, can visit the nearby Hope Orchards where fresh apple cider pressings take place on Fridays from late September until the end of October. 5. Autumn means non-stop festival fun. Fall is a festive time all along Maine’s shores, and camping is the ideal way to take full advantage of the celebrations. Attending the Common Ground Country Fair in late September, put on by the Maine Organic Farmers and Gardeners Association, is a quintessential local experience that showcases the state’s agricultural traditions. 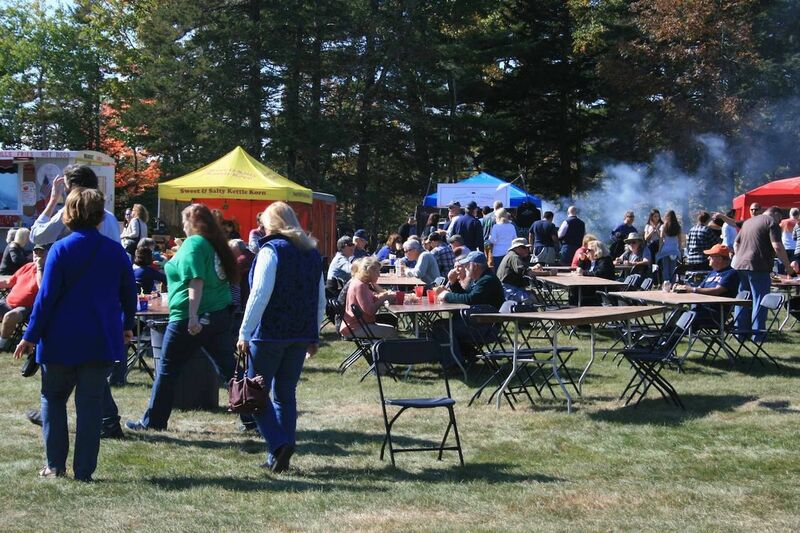 Acadia’s own Oktoberfest, hosted the first weekend of October at the Smuggler’s Den Campground in Southwest Harbor, features several of the local craft microbreweries for which Maine has become known. 6. It’s officially flannel season. Plaid button-down flannels are a staple in any Mainer’s wardrobe, and come September it’s easy to see why. Not only do they blend seamlessly with the autumn aesthetic, but they’re also perfect to wear around campfires once warm days turn into cool fall nights. After picking one up at the flagship L.L. 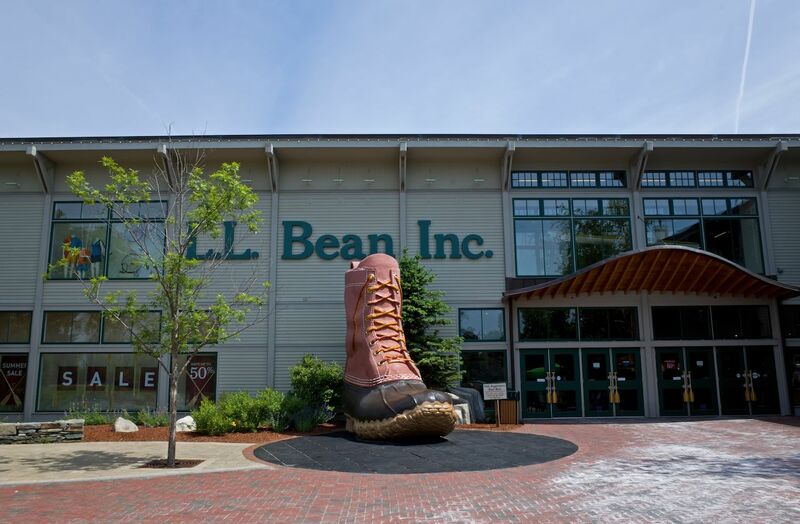 Bean store in Freeport, campers can head to pet-friendly campsites at the nearby Wolfe’s Neck Oceanfront Camping, which serves as a great base for fishing, hiking, spotting wildlife, and touring their organic farm. 7. Lighthouses open their doors. Maine has more coastal lighthouses than anywhere else in the country — 65 to be exact — which is why it’s called the ‘Lighthouse State.’ Planning your camping trip to coincide with the annual Open Lighthouse Day on September 8th, when many of the historic towers offer free tours to visitors, will allow you to experience the iconic structures up close. The Bass Harbor Head Lighthouse, sitting on a jagged cliff in Acadia National Park, is perhaps the state’s most photographed. Campers can hike to a viewing platform to see the maritime building surrounded by striking fall foliage. 8. There’s something for every camper. 9. It’s the way fall should be. Exploring Maine’s coastline is a worthwhile adventure no matter the season, but there’s nothing quite like sleeping beneath the stars along its multicolored shores in the fall. Since it’s also Mainers’ preferred time of year to go camping, you’re likely to leave the state with new friends to visit come spring.